Pipeline Liquid Measurement | Flow meters are required to be calibrated at specified times. To achieve this, prover loops are used to “prove” that the flow meters are accurately measuring volumes. Prover spheres are used within these prover loops, to flow through the pipe and activate prover switches. This gives the measurement tech a fixed volume between the two switches allowing for the calibration of the flow meter. Mag-Tek® features a pressure balanced, piston actuated, proximity switch with no dynamic seals. The switch is factory sealed, with no field adjustment, eliminating the chance of slipping from the original setting. The hemispherical shape of the piston allows either uni-directional or bi-directional operation. 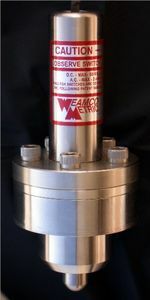 The detector switch is manufactured from stainless steel and designed for either above ground or below ground applications. Once installed the Mag-Tek® has only one moving part, the pressure-balanced piston, thus allowing continuous, maintenance free, and accurate operation. The pressure pump is designed for filling and inflating pipeline and prover spheres. As a simple, mechanical pump it is suitable for use in remote field locations and is ruggedly designed to operate reliably with minimal maintenance required. The pump itself is a single acting, positive displacement, hand operated unit capable of pressure levels approaching 300 PSI, well above anticipated requirements. Effective volume is approximately 4 cubic inches per stroke. Both suction and discharge sides are equipped with check valves, and a manual pressure relieving valve is included on the discharge side. 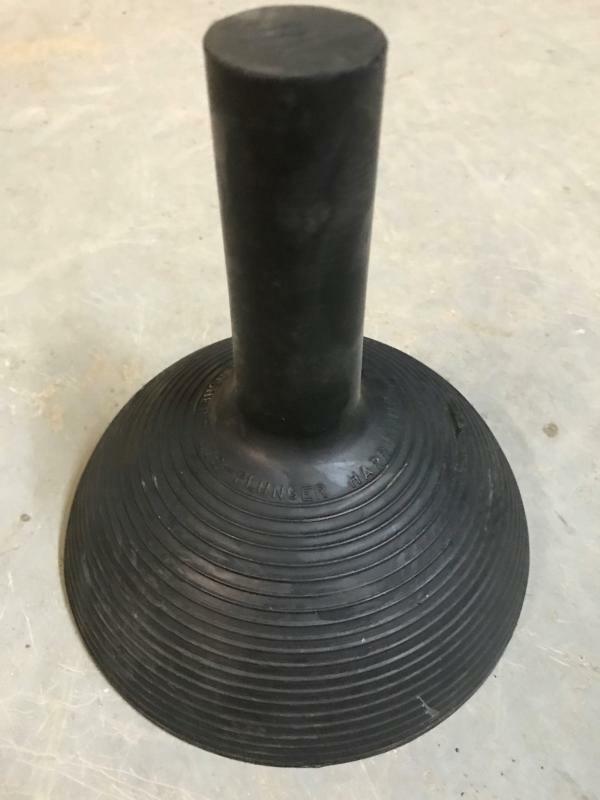 The suction side of the pump is piped to standard ¼” IPS threads with a removable hard rubber reservoir. The filling hose is terminated with a quick coupling adapter designed to accept the sizing adapters used in filling spheres. 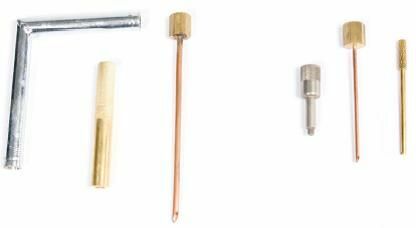 In normal use, the pump requires no maintenance other than a few drops of oil on the roll pin bushings. For long periods of storage, pump a clean mineral oil through the pump before packing. 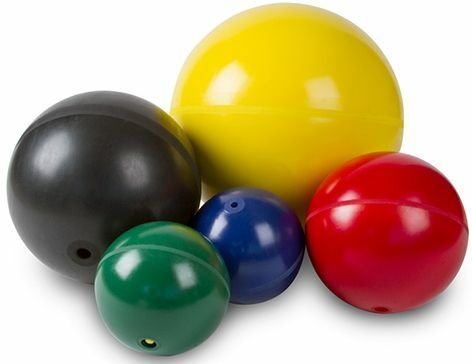 For efficient operation, spheres must be filled with the appropriate liquid and sized to the proper diameter. Drinkwater Products recommends a sizing ring be used to ensure that spheres are as consistent in size as possible for critical applications. The filling accessories are illustrated in the picture below. Two styles are available, one used for the 4” & 6” Spheres, the other for the 6-1/4” and larger sizes. 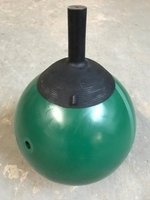 The sphere picker is designed to allow spheres from 6” through 36” in diameter to be removed from locations which would be difficult to access with slings, nets or other lifting devices. 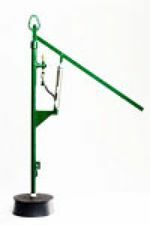 The Sphere Picker can also be used to lift and place spheres on loading racks or storage racks. As with all lifting devices, care should be taken to prevent personnel from being placed in dangerous positions under a suspended load.